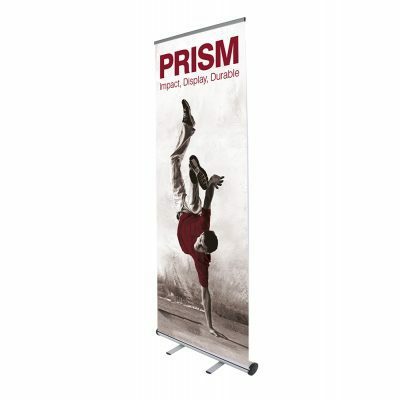 Prism 800 Roller Banner Stand. 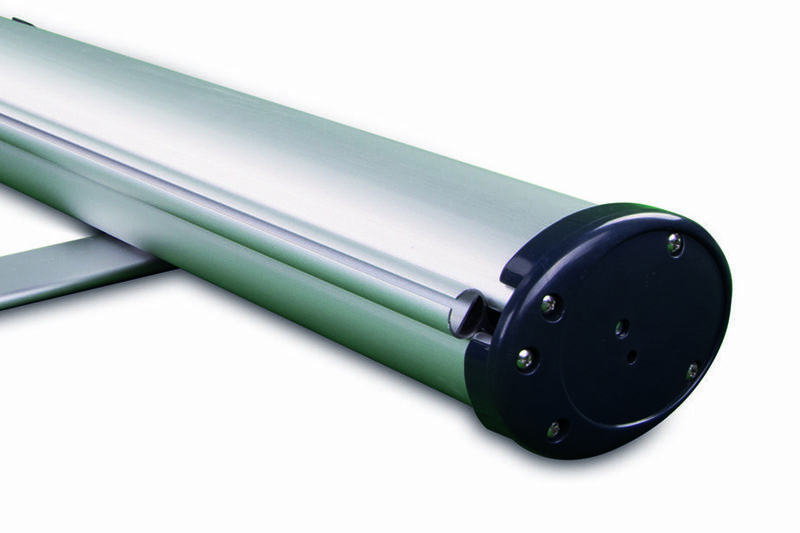 The Prism 800 Roller Banner Stand is a sleek and modern roller banner which will suit almost any venue. 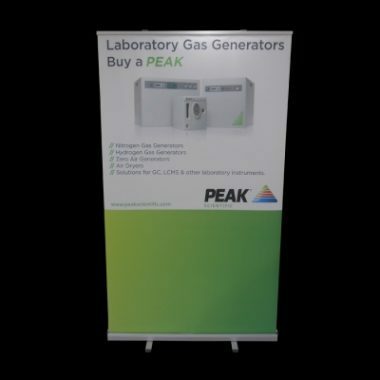 Further more we are so confident in this low cost banner stand that we offer a five year guarantee on the mechanism, which covers component failure and defects. Your artwork is printed in stunning full colour onto heavy duty 300 mic textured PVC using our brand new HP latex 360 printer. Visible Print Area: 2000 mm tall x 800 mm wide. Assembly time: less then 1 minute. Base mechanism: Reliable with a Five YEAR GUARANTEE. Free padded carry bag included for easy transportation. Graphics: Full colour, printed on heavy duty textured PVC. Sleek and simple design with twin twist out feet. 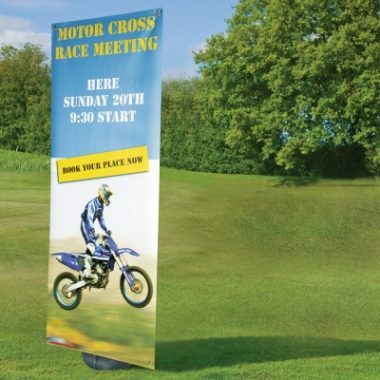 Outstanding price: Includes full colour graphics, printed on heavy duty banner material. Great choice for Displays and Exhibitions. Fantastic Value for money! 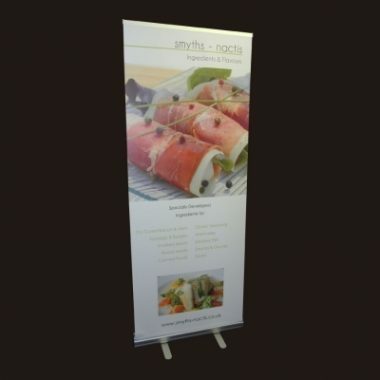 We consider these roller banners to be the best quality around at these unbelievable Prices. These are not the cheap budget roller banners. These have proved to be very reliable and of high quality over many years. 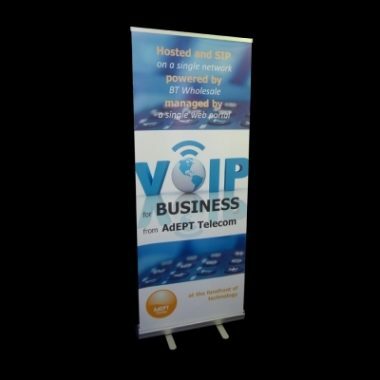 Roller banners also known as pull up banners are one of the most popular display solutions for events and exhibitions. They are the perfect for any business that needs to showcase their brand. Supplying artwork for Prism 800 Roller Banner Stand. Please email your required artwork to info@gjplastics.co.uk quoting your order number. See our artwork requirements for details on how to provide your artwork. Contact a member of our team if you require any further details on how to supply your artwork. All Artwork to supplied by the customer, any alterations, amendments or proofs may be charged at the hourly artwork rate; please call us for further details. 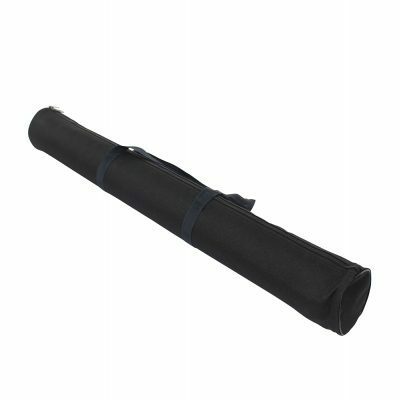 How do I assemble a roller banner? 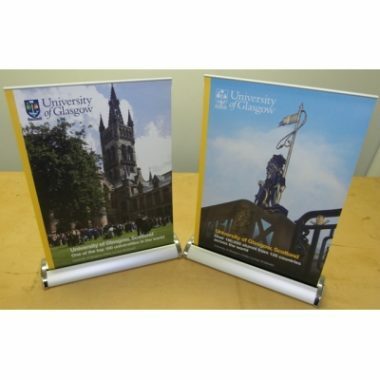 Assembling a roller banner could not be easier, turn out the feet from underneath the base, insert the pole into the base then pull the graphic up hooking the clip at the top onto the pole. 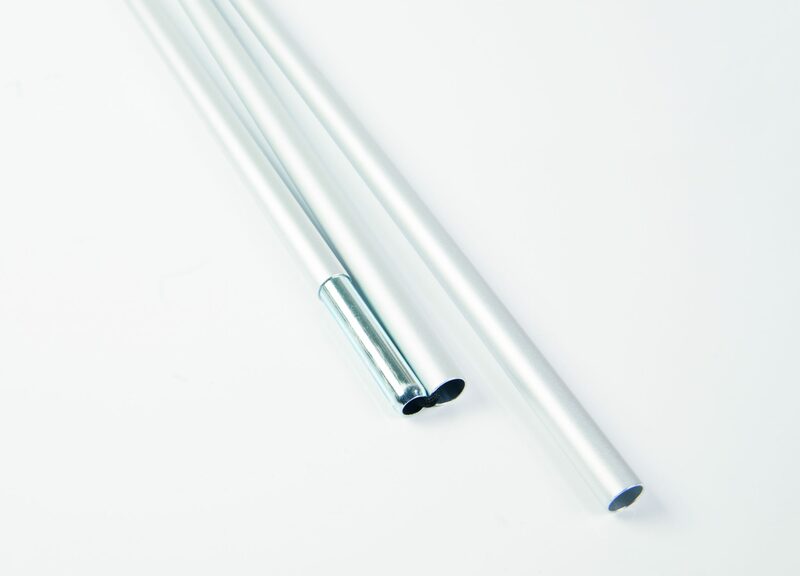 GJ Plastics are committed to producing the highest quality service at cost effective prices with a fast turnaround. 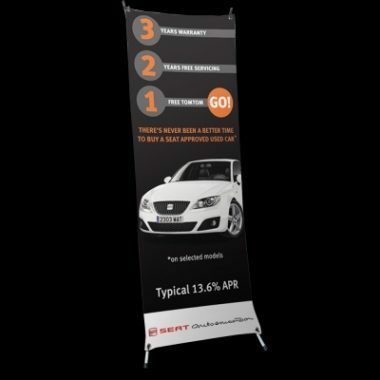 One of the best value Quality Roller Banner stands on the market today! How do I order a roller banner? If you wish to collect or arrange collection from our factory in Manchester, select this option during the checkout process.